Speech vs Actions: Can You See Who The Real Haters Are? Posted by Edison Villela on Nov 13, 2016 in Blog | Comments Off on Speech vs Actions: Can You See Who The Real Haters Are? Right after the numbers showed that the victory was out of reach for Mrs. Clinton, the democratic leftist went to the streets screaming: “not my president”. Democracy is great when it suits their agenda. 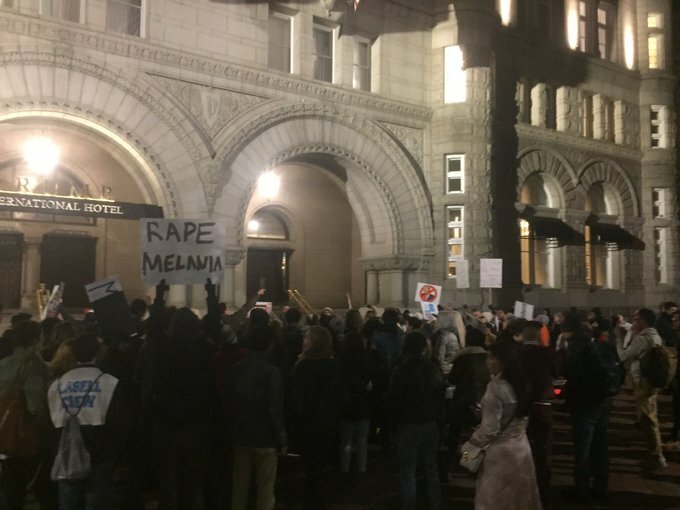 These extreme peaceful people who voted for Hillary also displayed for those who voted for Trump who they are by assaulting and beaten then up on the street. They are not so peaceful when they fail. Lots of love and respect has also being shown these days by the radical mob. You can see people say that President Elected Donald J. Trump should die and his wife, Melany Trump, raped. As you can see women who are not Democrats do not deserve any respect, and some like Trump, should die. These show exactly who the real haters are! Those who can’t see the difference between words and actions should look for a doctor!